Turn heads when you drive in Cincinnati in a new INFINITI! With an extensive lineup packed with luxurious sedans, stunning coupes, and capable SUVs, there’s something for every Florence lifestyle. At INFINITI of Northern Kentucky, we go above and beyond to bring you all the latest INFINITI features and models, and we’re here to answer all your questions. Explore our exclusive inventory, and pick out your favorite today! 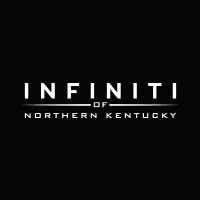 Why Buy from INFINITI of Northern Kentucky? We can’t wait to get you behind the wheel of the model you’ve been dreaming of. Contact us today to get started!